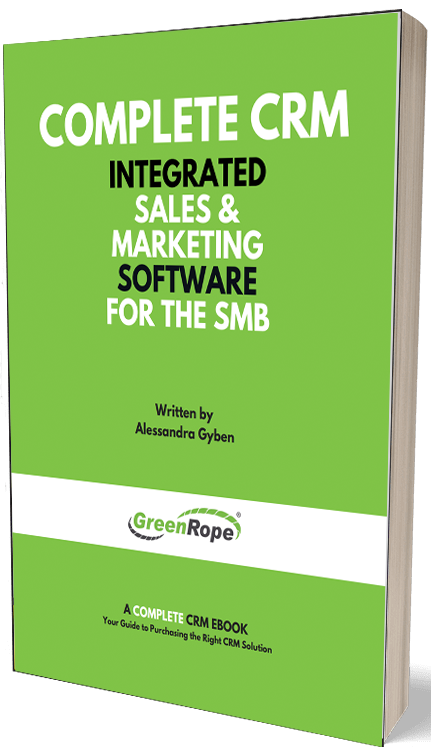 Integration of CRM and marketing automation is about having the two systems working together and in congruence with each other. In this case, if you effect a change of information within the CRM, the change should reflect in the marketing automation software too. Integration reduces the number of systems to work in, and by this, you can accomplish a single centralized data management system. It also makes departments come together (the growing relationship between marketing and sales for the sake of this article ) where they work to achieve specific shared goals and thus improves the integrity of the organization. The platform also allows customer behavioral analysis since all of their information is easily accessed enhancing customer relations. Two systems are tedious to work on making the process of data management laborious, and the workload might lead to data loss. Integrating the two makes data management process easy and fast to work with therefore saving time and money with a single system unlike when the two are stand-alone. It also improves data integrity due to the reduced number of imports and exports. It is confusing to keep track of different conversations and engagements with a client from two different systems. Therefore, by integrating the two, you can easily understand and be able to analyze your customer's behavior. An integrated Complete CRM and marketing automation platform also provides centralized and improved data on your clients enabling you to optimize customer relations. Searching for your customer’s information also becomes fast and easy saving your company time. The aim of both marketing and sales is to make sales, convery clients and to retain them. With Customer Relationship Management and Marketing Automation systems integration, it is easier to achieve this as compared to when they are separate. The combination provides one unified platform for tracking and analyzing customer behavior. It pushes the two departments (marketing and sales) to work together and attains the same specific goals, and hence improves data integrity within businesses. When the two are separate, CRM will force you to manually contact your customer since it is not designed to have email marketing functionality supporting tools. This work is tedious and wastes much time. With the combination, the marketing automation software comes with this additional feature (email marketing functionality) helps the process to be fast and easy, saving you time and money. Since you only have to deal with a single database, you have a better view of how your business is performing, and with this information, you will be able to maximize your sales without the need of increasing the number of salespersons you have. It helps you to spend less and save on time. Integration of the two systems is beneficial and economical. It saves you time by having a centralized system from which you can obtain all the information you require quickly without much hustle. The integration also maintains data integrity within your business by reducing the number of people interacting with the system’s data. By making departments work together, it improves the relationship and trust among the members of these departments.